The Liebert PST5 is an offline UPS technology that provides power backup protection for desktop computers, gaming consoles, workstations, wireless networks and routers, surveillance systems and other electronics. Designed with easy controls for worry free operation, the Liebert PST4 features ample time for you to save your work in progress and/or complete an orderly shutdown for your equipment when you experience a power outage. 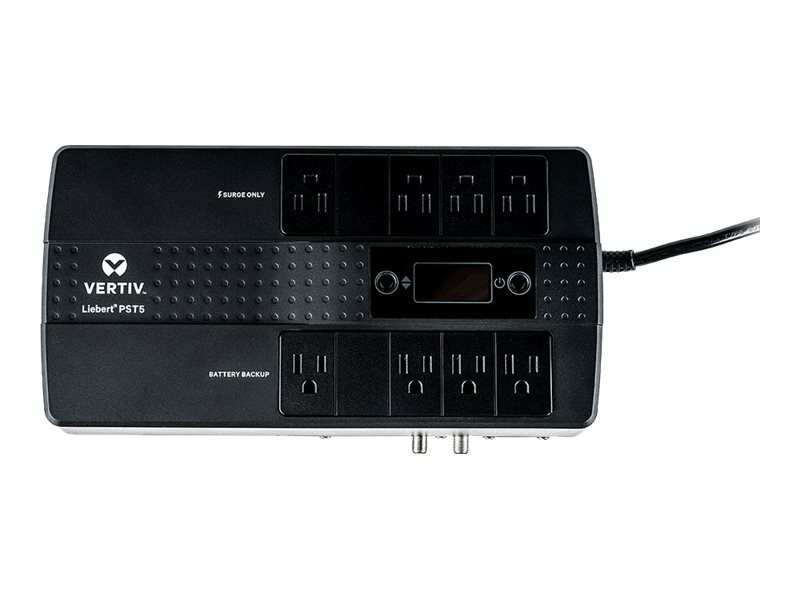 The Energy Star certified PST5-850MT120 has 850VA/500W and output connections of (8) NEMA 5-15R and input connection of a NEMA 5-15P with a 6 ft cord.